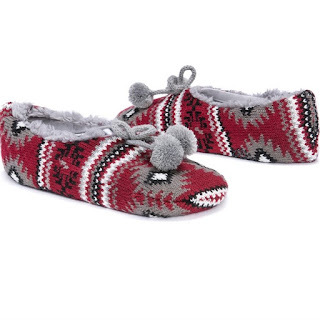 Head over to get a pair of these MUK LUKS® Women's Ballerina Slippers for ONLY $6.99 Shipped (Retail $16)! Slip on these cozy & comfy MUK LUKS® Ballerina Slippers! Fun knit upper and faux fur lining is perfect all season long! Wipe with a damp cloth to clean, no bleach, lay flat to dry. Imported.